This tag needed some bobbles and I have not purchased Tim's package. I have many beads and jump rings for making jewelery so I just did not want to buy his. I have made my own bobbles of beads. I am sure most of this years tags will get one or two bobbles. 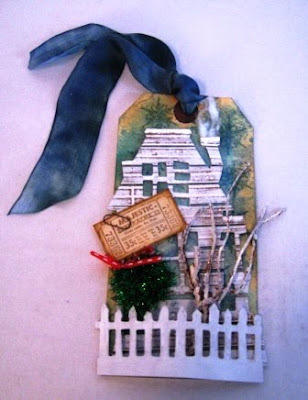 I also used a small mini ornament that I make from last years tags. It has a Graphic 45 paper in it. 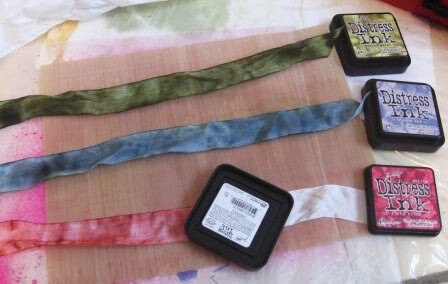 The white ribbon I have used is a good silk ribbon, I think it is 20mm wide. 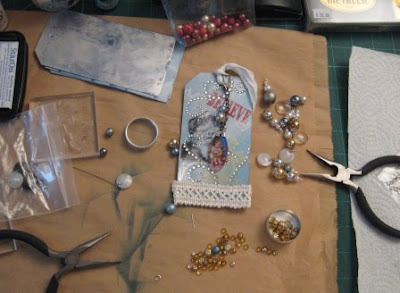 Finally I also added the bling to the tag. This is tag #2 for this year. I made this one on Thur the 2nd at one of the local stores. Treasured Memories in Edmonton is doing up kits and mini classes for Tim's tags. I was in the store Thur and did this one and the Tag #1 below. I did not like the ribbion in the kits so I coloured my own silk with Tim's Ink pads. Here is tag #2 with a snowy white house. I do not have the die to cut the house or the fence. So I took the mini class on this one too. I changed my ribbon again. 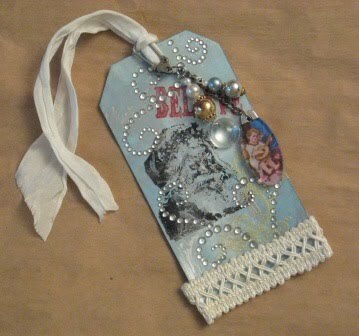 Here is one of the tags I did last year. I really love this one. I drew my own tree on grunge paper using the clear embossing pen and then using the green distress embossing powered. I did not have a tree stamp. I did however have the little truck. Love it. I tied the tree to the truck using a linen thread I had. I also loved gluing the paper on the tag and taring the edges, then inking and blending the edges. I used this one on many of the men presents I wrapped last year for Christmas. This tag is not one of Tim's but it does use some of the techniques that he should in last years tags. 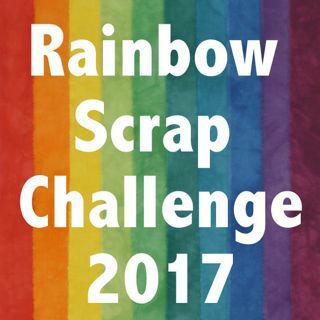 I made this one myself. I stamped on vellum. 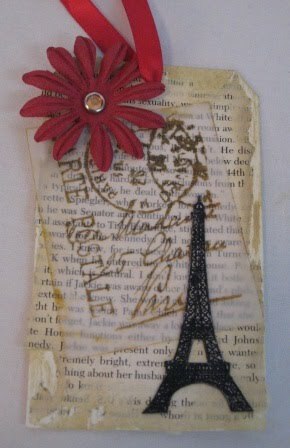 I stamped and used the distress powder on grunge paper to make the Eiffel tower. Then I finished with a flower. 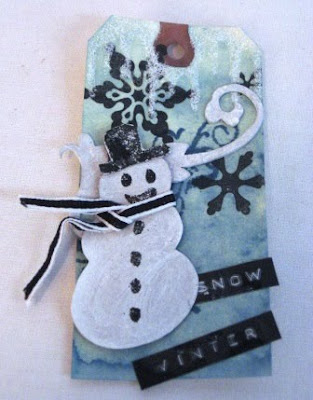 This is the snowman tag from last year. 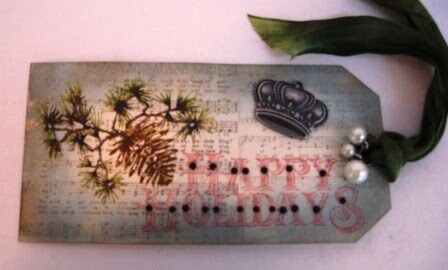 I did not have the snowman stamp that Tim used but instead I painted three balls on the grunge paper then cut it out. This was the first time I did so much to the background. Ink and dry ink and dry a few times. stamp. Added the snow on the top edge. The scarf is two ribbons and a wire all taped together. This way you can bend the ribbon to show the blowing wind, oh so cute. Here is the inking of the ribbons. So far I am doing really good on this years tags 3 of 4. Did you notice I do not have a number 3 done yet. It has a sweet bird on it and I do not own the die cut. I think I might draw out my own bird on to grunge paper. I have a red ribbon for it ready to go. I must go and get started on #3 and take a look at #5 today. I also have to get some quilting done too.